You’d have to wonder why the Chinese Vice President, Mr Xi Jinping, paid a state visit to our little island recently. Obviously he’d heard of the good old Irish hospitality and wanted to sample it for himself. Of course he probably didn’t bank on us being so quick off the mark when he made a casual invitation for a return visit to China. Enda didn’t miss a beat in accepting the offer before Mr Xi had a chance to think about it or change his mind. It was like one of those “sure you must come and visit us sometime” remarks by Mr Xi, which was met with a much more enthusiastic Irish, “What date next month would suit you?” I suppose on the face of it we are quite the fascinating enigma. Despite our current hiatus, we did achieve a transformation from a relatively poor, agricultural nation to a rich, high tech country in less than 20 years. I’m sure everyone would like to know our secret but to be honest I’m not sure if it was by design or accident. Anyway the whole Chinese visit got me thinking about Chinese food. I thoroughly enjoy a Chinese takeaway and I don’t think you could ever recreate that food at home, but what about some Chinese inspired dishes to shake up the mid week menu? There are general Chinese cooking principles that can be applied. I like the fact that you don’t have to stick to the same meat or vegetables. Many Chinese recipes call for a variety of both. This certainly creates flavour, texture and colour in dishes. The Chinese also like to use fresh ingredients where possible and when it comes to stir fries my big tip is to prepare everything before you start cooking. With any Asian dish the preparation is crucial. Wash drain and cut the vegetables, marinate the meat if necessary and prepare any sauces before you even turn on a hot plate. It is also good to wash any green leafy vegetables as early as possible as they need time to dry. If they are too wet when you stir fry the result will be poor. 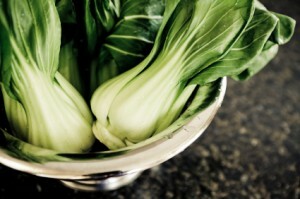 When stir-frying, cook the toughest and thickest vegetables for a longer period than the softer leafy ones. Vegetables such as broccoli, carrots, and cabbage need to be cooked longer than bok choy, which in turn is cooked longer than mange tout or bean sprouts. When it comes to meat a Chinese person told me to always marinate fresh meat. You can do this from the day before or just a few hours before you use it but the longer the better. 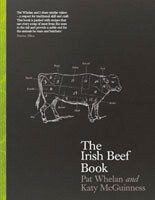 Another tip was to cut the beef across the grain for a more tender meat. Try to keep the pieces uniform in size as this way they will cook more evenly. With stir fries you can always cook the meat first and then set it aside returning it the wok with a sauce during the final stages of cooking. A wok is a traditional high sided Chinese frying pan and while you don’t absolutely need one I think it is the only way to achieve a decent stir fry. The high sides of the wok allow the heat to distribute evenly and you can whizz the food around without it spilling all over the hob. In many Chinese restaurants it is the well seasoned hot wok that is part of the secret. Woks also allow you to deep fry with less oil that you would normally use but still great care is needed here. Before you put any food into a wok make sure it is good and hot. Generally speaking the Chinese use peanut oil to cook with, but vegetable oil will work just as well. Also be aware that peanut oil, once open has a much shorter shelf life than vegetable oil so unless you are planning on doing a lot of Asian cooking I can’t recommend the investment. When adding the oil drizzle it down the sides of the wok and make sure it is very hot before adding any of the food. When it comes to sauces and seasoning you might think it is very complicated when in fact the opposite is true. For flavouring the Chinese tend to stick to a few well known ingredients. Light Soy Sauce, Oyster Sauce, Sesame Oil, Rice Wine, Tomato Ketchup and plain old sugar are widely used. Fresh ginger (never powdered), garlic, onion and bean sprouts are the other staples. After that just think about all the takeaway dishes you’ve eaten; red and green peppers, carrots, cashew nuts, baby corn, spring onion, French beans, mange tout and water chestnuts. Corn flour is widely used to thicken any sauces and peanut butter is always handy for a satay sauce. Rice and noodles are the common accompaniment and, another little tip, left over cooked rice makes better fried rice than freshly boiled rice. If you are expecting your Tuesday Noodle Surprise to taste anything like the local take away’s Chow Mein, then don’t even attempt this. However if you just want something a little different but still home cooked then try doing it the Chinese way. 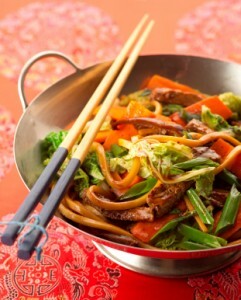 How about a little beef or chicken stir-fry, a chicken satay or even a duck breast in a nice oriental sauce? All of these dishes are easily achieved in our own kitchens without too much fanfare. Try it this week and see, if nothing else once everything is prepared, Chinese food is relatively quick to cook.